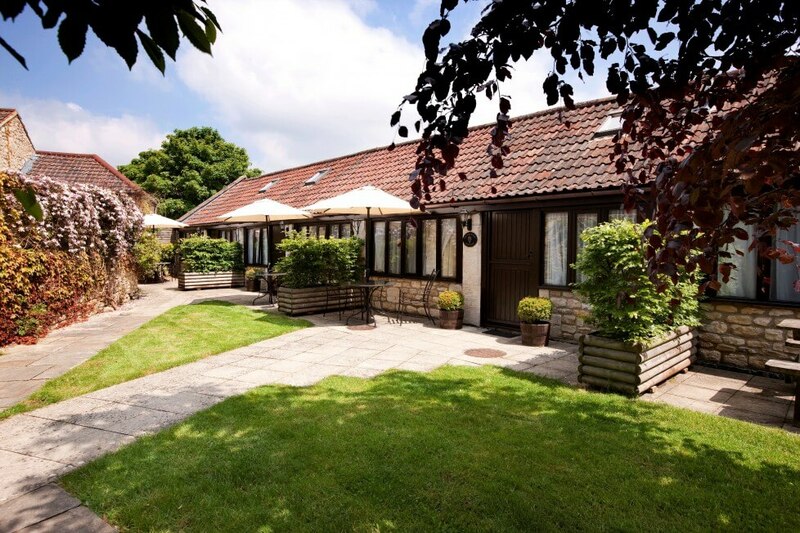 Rickbarton Cottage gives the ideal base for that countryside retreat that everyone thrives from. 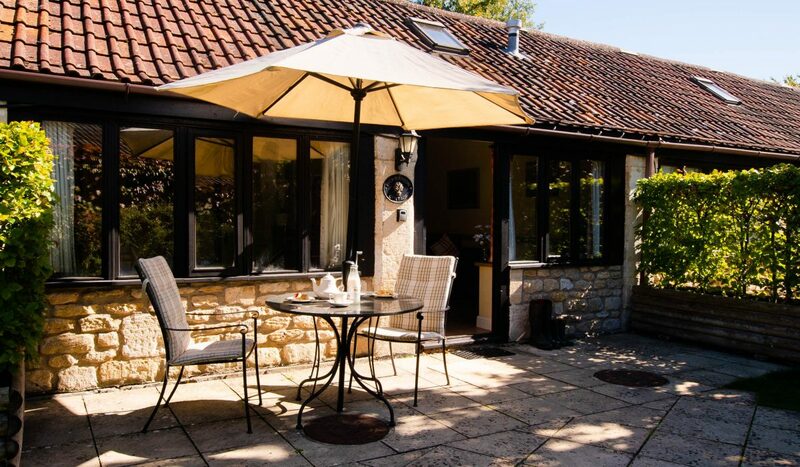 Walks from your doorstep, including close proximity to The Kennet and Avon Canal (3/4 of a mile away). Local Farm Shop and village pub within walking distance. 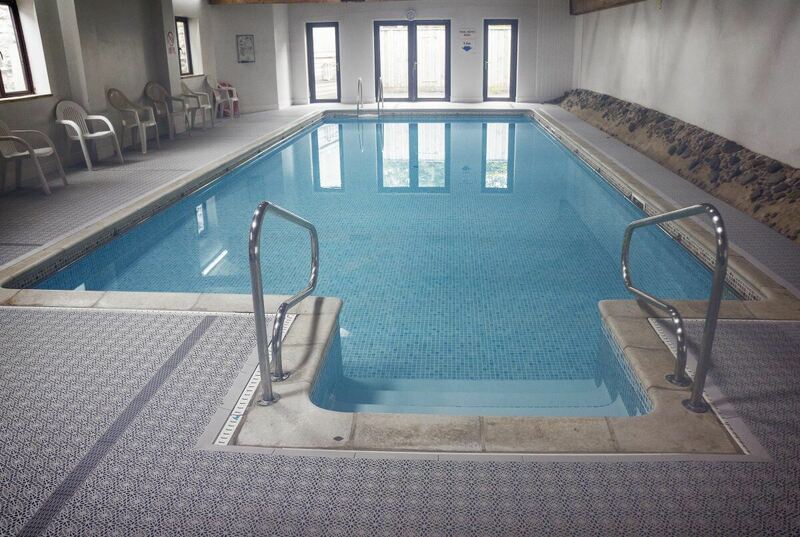 Unwind in the Indoor Heated Swimming pool. Bath is easily accessible (5 miles away). Good bus service from the village. 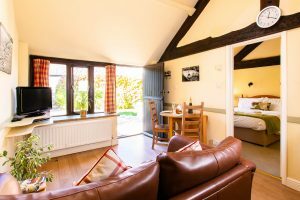 Rickbarton Cottage is all ground floor accommodation. 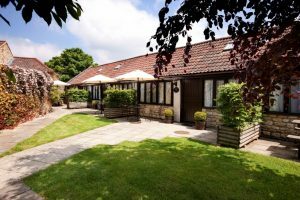 It comprises an open plan lounge/kitchen diner with one double bedroom with an ensuite bathroom which has a bath/shower over, WC and handbasin. 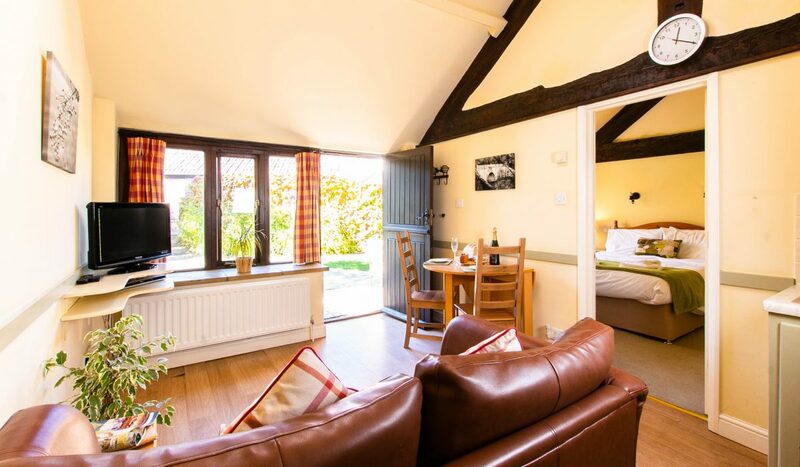 The cottage was converted from an old cow byre and has vaulted ceilings and beams. 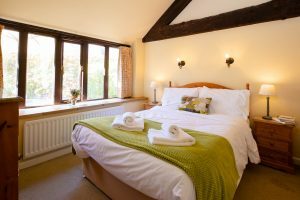 The cottage is set within a walled courtyard garden with shared laundry room, indoor heated pool and games room. 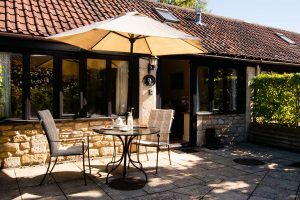 Rickbarton is part of a group of 7 other cottages (along with Burys, Hayleaze, Stapeley, Vellum Stone, Moncrate and Lime Kiln). 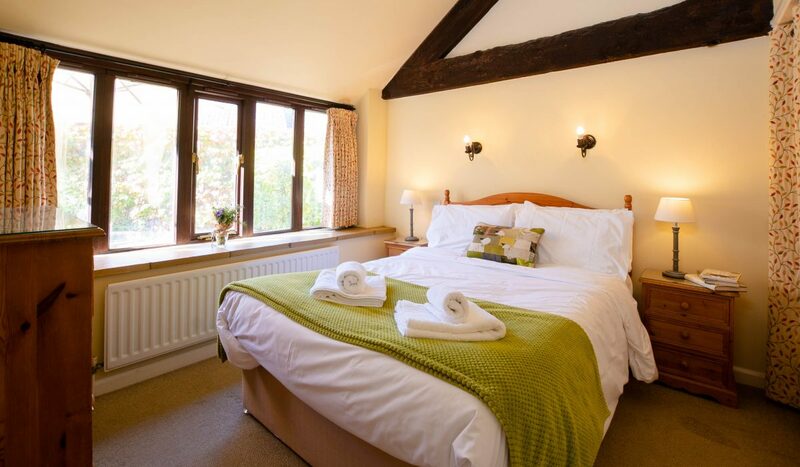 We can accommodate groups of up to 22 people. Kitchen: Well equipped kitchen with locally made wooden kitchen units, electric cooker with 4 rings, fridge/freezer, microwave oven. 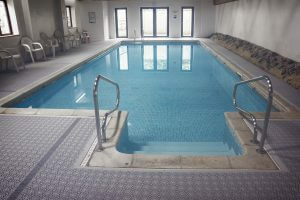 Entertainment: Indoor heated swimming pool/Games room. Flatscreen TV and DVD player. CD/radio Farm and Woodland activities available on the farm. 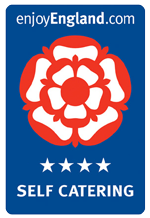 Book in advance with Becky Longleat and Cheddar Gorge Tickets sold with us at a reduced rate. Outside: Enclosed garden. Working sheep farm. Farm shop and cafe, village pub and shop all 500m. 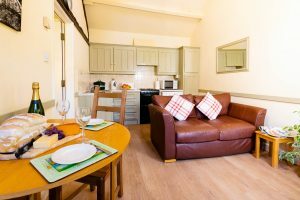 General Points: Price includes use of indoor pool and games room, free Wifi, central heating, electricity, bed linen, towels, welcome cream tea and VAT. Shared laundry room on site with two washing machines and two tumble driers. Children: Yes. 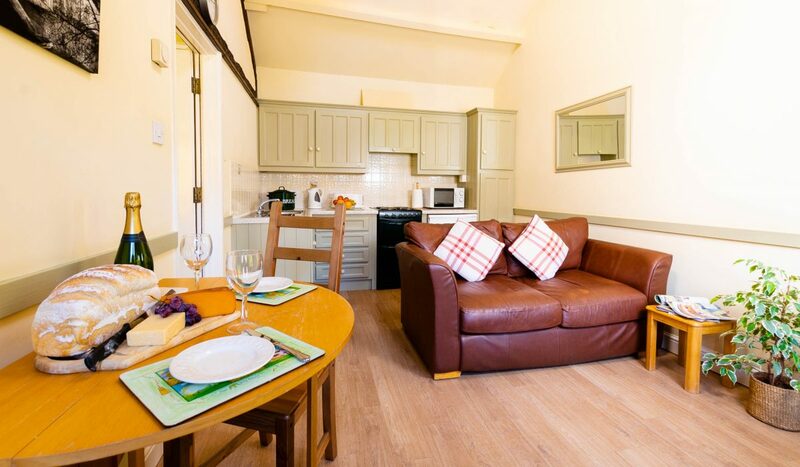 Cottages sleeping 2 people suitable for babies and toddlers. Pets: Yes. One or two well-behaved pets - by prior arrangement. Longleat 14 miles. Bradford on Avon 2 miles. Kennet and Avon canal 3/4 mile for boating, cycling and walking. 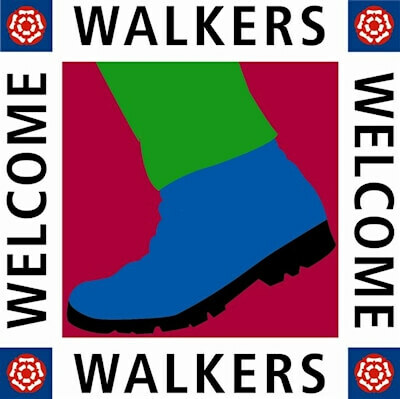 Enjoy a rural location on a working farm with walking and cycling from your doorstep.